If you’re anything like us, you’re not new to the podcast listening game. Perfect for the morning commute, lunch break, or walking the dog, podcasts are an easy way to learn and grow, both as a person and a sales professional. 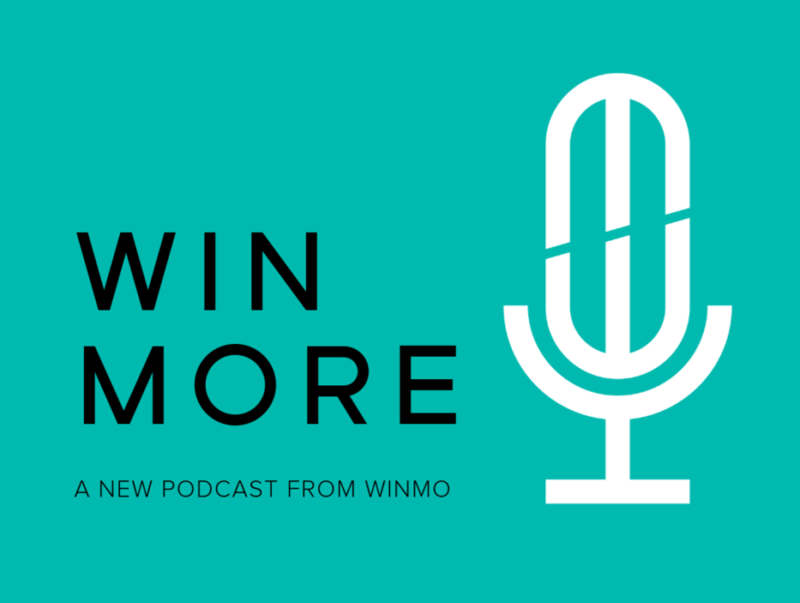 There are already a ton of great sales podcasts available to download, but we’re adding one more to the mix: Win More, the new sales podcast from Winmo. We’re not here to clutter your feed with more interviews or interesting-but-not-actionable conversations. Instead, Win More takes the most valuable predictive sales intelligence information within the Winmo platform and serves it up to you on a silver platter. Our sales podcast is actionable; the insights and updates that we intend to profile in our conversations with industry experts go further than the best tips for cold-calling. No, our sales podcast is going to tell you WHO to cold call, surfacing the best opportunities for new business development and the most impactful decision maker moves in the agency, media, adtech, and sponsorship industries. Launching today is our first episode, “New Year, New Business.” Highlighting Winmo’s 2018 CMO tenure report, released in December, we’re sharing a conversation with Winmo CMO Jennifer Groese, an industry veteran who is intimately familiar with the pressures and expectations of CMOs, and Betsi Nelson, Managing Editor of WinmoEdge and author of the CMO report. These women offer expert insights and ways to take action on the data shared within the CMO report, providing valuable perspective on the definitive CMO tenure study in our industry. We invite you to listen and share your feedback — what you want to hear, what information you’d find most valuable, and more. Our podcast is in its infancy and is likely to evolve and grow with our listeners and Winmo customers, so we welcome your feedback! In addition to plugging our podcast, we wanted to share some other sales podcasts that get it done. We hope you give all of these a listen! Not seeing your favorite sales podcast mentioned? Drop it in the comments! We’re all ears. Win More: We had to do it. With exclusive intel that you’re not going to find in any other podcast, Win More is the perfect way to start your morning. Pro tip: play the podcast on your way into work, then log into the platform when you sit down and pull contact info for each prospect outlined. Boom. Prospecting: leveled up. B2B Growth Show: This daily podcast is an excellent resource for new business professionals looking to reach and exceed their goals. With tips about sales team management, creative pitch strategy, and more, this is a fantastic way to start your day. Sales Success Stories: This show is a wealth of incredible insights from the top 1% of sales professionals, covering everything from top recommendations for sales books to everyday habits and routines of successful people. Beyond the podcast is an amazing community, making this podcast a worthy investment of your time! The Sales Evangelist: Another daily show, this podcast is featuring quick, timely tips for B2B sales, making it an incredible resource for daily inspiration. The Sales Podcast: Do you have sales questions? This sales podcast has answers. Featuring incredible FAQs and detailed replies from some of the industry’s most common issues, this show is a fantastic way to learn from others’ mistakes, successes, and common questions.